Three McLaren personnel had to be treated at the medical centre at Spain's Circuit de Catalunya after a fire in the team's garage. 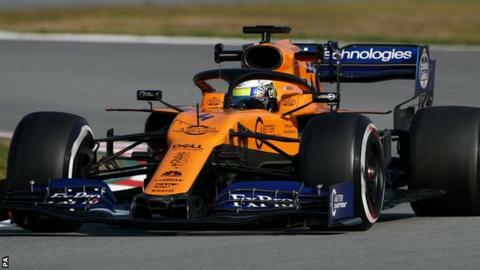 McLaren said the team members were "released shortly after" being admitted following what was said to be "a small fire" that was "quickly extinguished". The car was stripped down and checked for damage, and none was found. The fire is not expected to affect McLaren's involvement in next week's final pre-season test at the track. McLaren and other teams were taking part in a private filming day at the circuit north of Barcelona. The first pre-season test finished on Thursday, and the final one starts on 26 February.